Henan is the aluminum sheet manufacturers gathering place, Henan 6082 thick aluminum sheet manufacturers are also very many, 6082 aluminum sheet is 6 alloy aluminum blank after hot rolling treatment, post-cutting and surface polishing after the formation of the thickness of the larger specifications of the aluminum plate. 6 series aluminum sheet belongs to Al-Mg-Si alloy aluminum sheet , its excellent performance, in the market are relatively mature alloy series, on behalf of the alloy, including 6061 aluminum, 6063 aluminum and 6082 aluminum. At present, the domestic market a lot of aluminum manufacturers are in the transformation and upgrading of technology, hoping to produce a higher quality 6082 aluminum, for the development of other industries play a certain role in promoting. 6082 thick aluminum sheet corrosion resistance and wear resistance are better. Has a good processing performance, excellent welding characteristics. And its electroplating, corrosion resistance, high toughness and deformation after processing, material density without defects, in the shipbuilding industry has a wide range of applications. haomei Aluminum 6082 ultra-thick aluminum sheet generally 1 +1 hot continuous rolling production line production, sheet thickness of up to 600mm, width of up to 2.6 meters, 6082 aluminum sheet to tXX state-based, mainly including 6082-t6 aluminum and 6082- T651 aluminum plate. 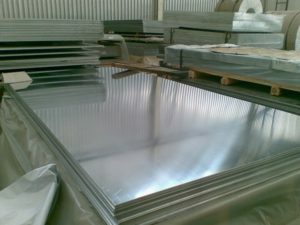 O-type aluminum sheet can be used in bending and molding of industrial parts, the T5 and T6 state for good mechanical processing requirements of the industrial manufacturing parts, the general industry used 6082 thick aluminum sheet need to re-processing, some specific processing Need to use chip separator or other special technology to help separate chips, can be widely used in mechanical parts, forgings, business vehicles, railway structures, shipbuilding and so on. 6082 thick aluminum sheet to industrial manufacturing has brought great economic benefits, to promote the development of urban economy has brought great economic benefits, enterprises warmly welcome the broad masses of old and new customers to visit the field.